5 Steps to a Great Website! I created my first website for my childcare business in 1999. The website provided basic information about my program including: the location, hours, rates and photos of my program. In fact, the website was free, but I didn’t get much business from the site. There were many reasons why this site did not work for me, however, I prefer to tell you about the site that did work for me. In 2003, I registered the domain name www.learningdays.com for $19.00. It was a great investment for my business and is still paying off. I also signed up for web hosting with www.samsclub.com for only $5.00 a month. After setting up my site, I was clueless about how to create a site that would attract visitors. Over time, I learned how to add content, how to structure the site, make it a very informative site and most of all attract more families to enroll their children in my program. 1.Design-When a website looks great, it sends the impression that the company or product is great. Keep in mind that your website may be your first chance to make an impression upon your site visitors, so make it a great one! 2.Structure– Have you ever been to a website and didn’t know where to start or how to check out? While structuring or restructuring your website, be sure that your visitors can easily navigate through your website. A confused consumer may easily say no to your service or product. 3.Content-According to Shama Kabani, Content is King! More over, it is the heart of your website. The first purpose of a blog or website is to educate and build expertise. A really great site offers content in the following forms: written articles, audio and video. This is a great way to meet the learning preferences of your site visitors. 4.Optimization- is a marketing tool that allows any online user to get more clicks in their web copy writing efforts for their website by improving the search engine results in the Web. Moreover, make sure that search engines can read your website. This is a great way to attract website visitors from major search engines such as Google. 5.Maintenance Your website needs to be maintained the same way that we maintain our physical building. Content needs to be changed, design needs to be updated and items may need to be moved around. I suggest that a website be reviewed 2-3 times a week to track visitors with a scheduled monthly maintenance plan that includes: website visitors feedback. I hope that you have been inspired to create a great website that will attract visitor, turn them into consumers and eventually transform them into customers. I wish you much success with your website! 7 Marketing Strategies That I Gained From My Garage Sale! Enrollment building tips…inspired by my Garage sale! I love to go to garage sales and have my very own garage sale at least twice a year. Garage sales are a great way to find great bargains, shop for items that you need for home or for your business and garage sales have taught me so much about how to market a business or a sale. On Friday May 24, 2013, I displayed my garage sale signs at the most traveled intersections in my neighbor hood. In fact, I posted the signs shortly before rush hour, so that my neighbors would see my signs and plan to stop by my garage sale on Saturday morning. After displaying my signs, I went home to get organized for my sale; I prepared my pricing stickers, created signs for my tables and my entire family was involved in the process; after all they will benefit from the proceeds of the garage sale. On Saturday May 25, 2013 at 6:30am, we let up our garage door so that we could bring out all of the items for the garage sale and there was a man waiting in his car for my garage sale! I thought…Oh wow! Maybe he saw my Signs that I displayed on Friday night!! This really caused me to think about the importance of signage when you are trying to build enrollment or simply market your business. About 2-hours into the sale, 2 of my garage sale customers told me that, they could hardly see my signs and they began to give me suggestions to buy larger signs for my next garage sale. Then I thought..Signage is important, however, if you want clients or your customers to find you; be sure that you have BIG SIGNS! So in summary, my garage sale was a success, however, I wonder how many customers I missed, because my signs were small? Moreover, my sale was 4-hours long and I had lots of time to reflect on the importance of marketing your business. 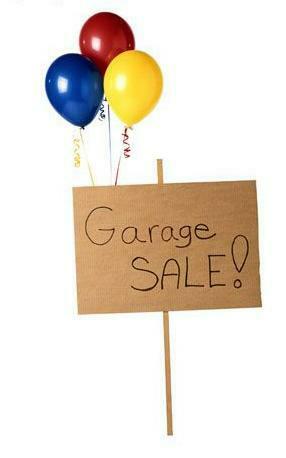 Today I am going to share with you seven marketing strategies that I gained from my Garage Sale! 1. Create signs that has large print with bright colors. BIG IS BETTER!! 7. Add balloons to your signs…its a great way to stand out! Home Providers: Many municipalities may not allow signs in yards, however, creating a festive home, with children decor is a great way to cause your home to stand out and attract parents to you. Also, when marketing your business online, skip the small ads and go big. You can never market your business too much! After all…your enrollment depends on your ability to market your business. I look forward to reading your thoughts and comments about this post. Talk with you soon! 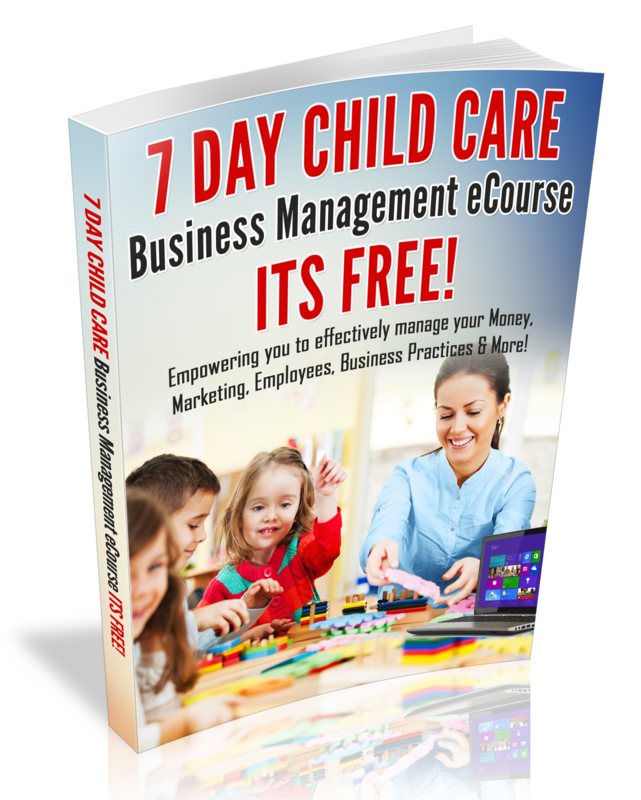 Be sure to subscribe to my weekly childcare business owner enewsletter. Subscribe today!